Why not make up a donation box for your small change and send the savings to Friends of Hlekweni? 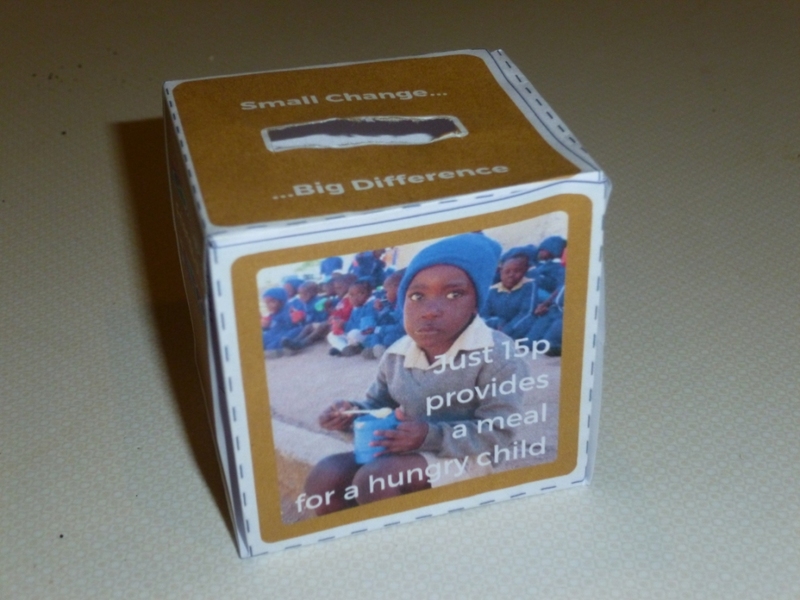 Small change adds up over time and even small amounts, such as 15p, can buy food for a hungry child in Zimbabwe. Download the template by following the link on this page, make up the donation box and you’re set to begin saving. You may find it helps to strengthen the box with some card e.g. from a cereal box.